I realized how addicted I had become to checking my feed and not wanting to miss anything. Likewise, I had also created pressure within myself to share interesting content daily. So instead of getting out to play and experience life, I was scouring the internet, my laptop and my brain for something to post! 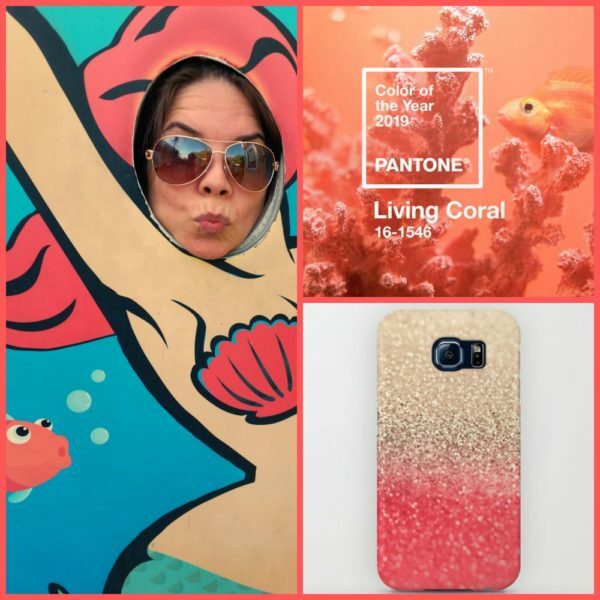 When Pantone released “Living Coral” as the colour for 2019 it peaked my interest. Coral is one of my favourite colours, but I wasn’t sure what the “Living” part was all about. So I took the time to research that. Living Coral has been named the colour of the year because Pantone has decided it is a colour that we need this year to nourish us emotionally. Okay Pantone people, were you reading my mind over the holidays? I couldn’t believe when I read THIS on their website . . .
Isn’t that insightful and so true? You know what else makes me even more in love with this colour? How it represents the vast and beautiful coral reefs in our oceans. They are the protectors of our most complex eco-systems. We have fish that spawn there and many of the little guys hang out in the reefs until they are big enough to mingle with the rest of the big fish in the ocean. The reefs also protect our shorelines from tropical storms, high waves and strong currents. As we move forward into this wonderful year full of hope and new experiences, let’s think about what that looks like. Think about the “Living Coral” and how the tiniest organisms can thrive and be safe because it provides shelter and how the coral is strong enough to protect the earth from the unpredictable movement of water. I think the coral can teach us a lot about how we need to protect ourselves. As human beings we thrive when we feel loved and secure. Making meaningful connections is in our DNA. Instead of two hours going by as we scroll through our phones (only to feel depressed and inadequate), why don’t we start using Social Media in a different way? I challenge you to reach out to someone once a month, who you usually just connect with on Facebook or Instagram or Twitter and ask them out for a coffee or a walk, or to check out a new place to shop. Have an experience with them, see their smile, enjoy their laugh, drink in how good they smell when you hug them, look at how their eyes sparkle. Remind yourself of how fabulous you are at the art of conversation and making an authentic connection. I promise you it will be a truly meaningful couple of hours. “Living Coral”, you have inspired me! Time to shut down the lap top and on to designing some life-affirming coral julz! Stay tuned to your inbox this week. Something coral and very special is coming your way. Can’t wait to coral-ize my life!